As it plans to bring in a legislation to allow foreign universities to begin operations in India, the government on Tuesday indicated that it would not allow profit-making foreign educational institutions to set up campuses in the country. "The government policy is not to allow profit-making institutions even in India to flourish in the field of education because education is a charitable exercise," Union HRD Minister Kapil Sibal told the Rajya Sabha. He said the government would like high-quality foreign educational institutions to come to India either by way of twinning arrangements or by way of grant of degrees based on collaboration. 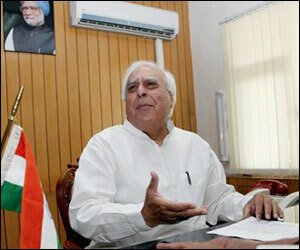 More than any of the specific policy proposals, Kapil Sibal’s willingness to open a national dialogue on education outside the halls of elite commissions is to be lauded. Equally important is the tacit admission of a dirty little secret of educationists: the education system does not serve the learning needs of the vast majority of Indians. Nor does it serve the holistic development needs of local communities. As climate change and economic collapse loom before our generation, this is indeed a welcome opportunity to rethink some of the assumptions that have defined the framework of schooling until now, such as: monoculture, fragmented disciplines, competition, compulsion and authoritarianism. Everyone already agrees that government schools in villages are in bad shape. What will make this round of dialogue interesting is if we open up to greater interrogation the claim that elite private schools are providing “good education”. It is essential to ask: Are children prepared to deal responsibly with the kinds of challenging uncertainty that characterizes the 21st century? What are the opportunities for students to develop higher order skills such as: unlearning, critical analysis, research, problem solving, imagination, self-expression, decision-making, self-introspection, team work, wisdom? Are children equipped to build healthy and sustainable communities, and live in harmony and integrity?